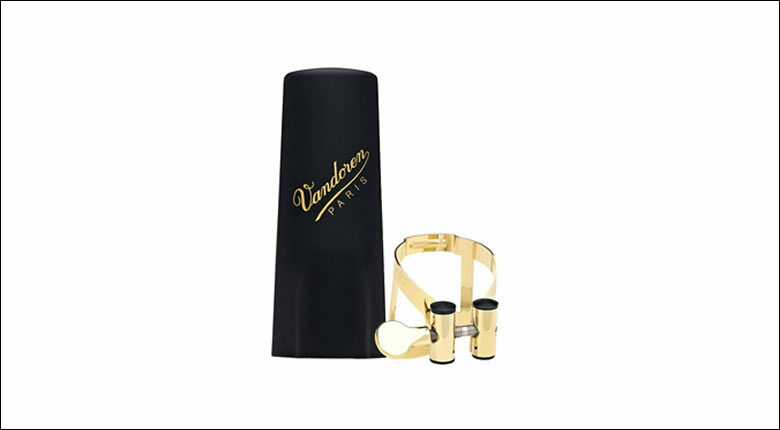 August 2011, Chicago IL – The new MO ligature from Vandoren, the world’s leading manufacturer of professional reeds, mouthpieces and accessories, has given musicians even more to love about Vandoren. The all new MO ligature series combines beauty, efficiency and function in one simple, yet elegant design. The MO series combines the light weight and elegant design characteristics of the original Masters series with the symmetrical tightening and speed of the Optimum series, resulting in a beautiful ligature that works beautifully. The MO ligatures will be available for all clarinets and saxophones in a variety of finishes – pewter, black and silver for the clarinet family and gilded for the saxophones. Twenty-four carat gold plating will be available for Bb clarinet, alto sax and tenor sax MO ligatures. An ‘aged gold’ (unlacquered) finish is expected to be available for saxophone ligatures at the end of 2011. Vandoren MO ligatures are currently available at fine music stores everywhere. For more information on these and other new Vandoren products, contact DANSR, Inc. at info@dansr.com or 888-707-4455.